Water Resources are the most essential component on earth to have any form of living and it’s important that we take care to manage this resource wisely. There are many different challenges we face to ensure that everyone have access to freshwater, from pollution to outright water scarcity in some areas around the world. Most people don’t know the statistics and how many water is actually available for use, so we created an infographic explaining why water resource management is critical to our future. 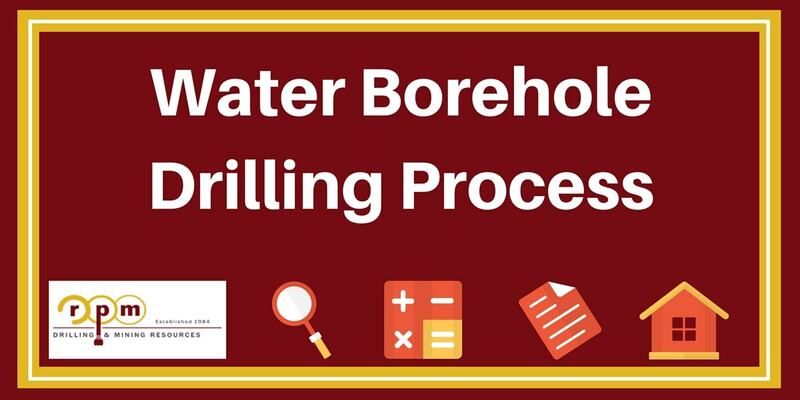 Water borehole drilling companies can also help manage our water resources by doing it the right way. The earth consists of 60% water! That’s a lot right… Think Again! We can use only about 1% of all the water on earth. So let’s manage our water resources. Here is a great video explanation on Water Resources. Here is a detailed overview of the infographic. You can also take a look at our other articles. How Much Water Resources Are Really Available For Use? How many fresh usable water is available for us to use. We can break it down like so you can see how much water is available and where do we get it from. The majority of water on earth is made up from the oceans, which is mostly salty sea water and makes up about 97% of the total. Salty sea water in its natural form is not usable for everyday use by people, most animals and plants. There are a process called desalination to take out the salt from sea water and turn it into fresh usable water, but the process is still in its early stages and cost in most cases too much to do. So now we know that only about 3% of all the water on the earth is fresh water. This 3% consists of 3 main categories, which are Frozen water in the North and South Poles, Groundwater and Surface water. Frozen water makes up 69% of freshwater resources (2% of the total water on earth) and are also not available for everyday use, because there hasn’t been technology to convert the frozen water to usable water yet. This will most like be a very expensive process and can take a long time to be implemented. The second largest component makes up about 30% of freshwater and is called Groundwater (1% of total water on earth), which as the name suggests is found under the surface of the earth between rock and soil formations which are also called aquifers. Groundwater is an important role in our water cycle and comes from rain, snow, sleet and hail that drains into the ground. Most of our water that we use daily comes from groundwater sources and can be easily mismanaged, because the cycle for groundwater to be usable again takes far longer than that of surface water. So the management of our groundwater resources are critical. The last category of the freshwater we get on the earth, which is also the smallest amount is Surface water. This is all the water in our lakes, rivers, wetlands and in the air around us. So the fresh water that we can see makes up only 0.3% of the total water on earth that we can use, which also include the ground ice and snow. Putting all that into perspective let us look at water in a whole different way, because suddenly 2 thirds of water on earth doesn’t sound all that much if we can only use 1% and see a mere 0.3%. So if rivers, lakes and other water sources gets polluted, just think about how the remaining freshwater resources under the ground may look like if not managed and preserved properly. Now we know what types of water resources we get and where they are in our ecosystems around us. So how do we get the water we use every day from the different resources? The Main Sources Of Freshwater Resources and Water Borehole Drilling. So where does borehole water come from? Groundwater is the largest water resource that is being used every day by people, animals and plants. There are two ways to get groundwater for use, which are natural springs and water borehole drilling to get the water from aquifers. Natural springs are only a small part of getting groundwater, whereas drilling wells are the most common way to extract water resources from underground aquifers. Borehole drilling companies can also use a range of different borehole drilling methods, which will also affect the cost of the borehole. That’s where water borehole drilling companies plays an important role, to implement the correct measures to safely extract water and keep the natural sources of water and environment as natural as possible. Today most water wells are being pumped out to be used, where in the earlier days water were extracted with handheld containers from the wells, which is still common in certain areas around the world. Surface water is only a small amount of the total water resources and using water from this source is most likely the easiest. Surface water are the water from rivers, lakes and other similar water sources. The water is usually extracted by using pumps that take water to their respective destinations through pipelines. Surface water resources can also be kept full by using groundwater to keep a constant supply of water to those using them. Water can also be stored in dams or reservoirs to distribute more easily, especially in large urban areas and cities. When rivers, lakes or dams run dry, it is also an indication that the groundwater is drying up due to overuse or maybe a drought. As we explained above, 97% of all water is salty sea water from the oceans that is not usable. There are a process called desalination where the salty sea water is filtered to take out the salt and produce clean freshwater. This although is not used on a very large scale around the world, but only in certain parts like the Persian Gulf where water scarcity is a really big problem. The Desalination Process is also very expensive and not economically sustainable at the moment so are only been implemented on a small scale. Frozen freshwater resources at the North and South Poles may also become a valuable resource somewhere in the future, but there is no technology at the moment to extract freshwater from those sources. There have only been a small number of schemes to do research at these sources to find ways to extract water in the future. The 3 Main Uses Of Freshwater Resources. Water is the main resource for almost all living things on earth, from people, plants animals and other living creatures. Now that we know how much water are available to us and what processes is taken to get water, we are going to take a look at how we use our water. The 3 main categories for water usage is for Agriculture, Industries and Domestic use. Within these 3 components there are many different sub-categories, ways water are being wasted and things everyone can do to waste less water by properly managing it for the long term. The largest component that uses water is agriculture which makes up about 70% of all water usage. Industries are using the second largest at 22% and domestic usage is the smallest part making up only around 8% of the total. The agriculture industry grows the food we eat and is a vital part in the advancement of people, animals and plants in order to continue to live. The two most common uses of water in agriculture are for growing plants which produce food and feeding animals. The most popular ways to get water are primarily from rivers in the nearby area or by use of drilling water wells. Food scarcity is still a big problem in some areas in the world and when there are more people more food should be produced, therefore more water would ultimately be needed. Water that is being used for industrial purposes are mainly broken into the manufacturing of products, the disposal of waste and generating of power. Manufacturing processes that can include the use of water are largely fabricating, washing, processing, transporting or creating products that incorporate water. Waste disposal water usage originates from industrial and domestic uses like sewage or industrial draining. These waste water are captured and treated to be used again in the future. The largest component using water within the industrial sector is for power plants. The water is used to keep the power plants cool. Most types of power plants need cooling like coal, nuclear, natural gas and oil power plants. Domestic water is mainly used by urban areas with commercial, office and residential zones which also include rural settlements. The most common water uses for these environments are toilets, baths & showers, washing laundry & dishes, cooking, drinking, gardens and other similar uses. The main water sources used in urban areas are surface water and groundwater extracted through water borehole drilling. Water usage will always vary between income groups, country, city and other locations so it’s not dependent on only one statistic. Types Of Water Pollution And How We Can Improve Water Conservation. Industrial waste are produced by industries which are harmful to the environment. These waste can pollute our air, water and have an impact on our health. Most of these industries do not have the proper waste management systems in place, so they dump their industrial waste into freshwater source which flows to rivers and ultimately the sea. The polluted chemicals change the water colour, temperature and can be hazardous for any living organisms in the water. The best way to manage or solve this problem would be to enforce more strict rules about how industries can properly manage their waste disposal processes. Sewage and waste water produced by households can in some large urban areas end up in freshwater sources. By getting sewerage in your water you use daily can be deadly and could be a breeding ground for disease and harmful bacteria. This can be due to a poor sewerage and waste water system to safely transport the waste to a treatment facility. This also doesn’t only occur in large cities, but mismanagement in any form of settlement could be very dangerous for the people and animals in the area. Urban development can also have a major impact on water resources when not done in the correct ways. Urbanization usually means a larger population which will most likely entail more food, sewerage, landfills and deforestation. All of these would have a major impact on natural water resources in and around these areas as needs grow. Cities must make sure that sewerage and waste water systems are properly maintained and can keep up with the rate of development. Urbanization should be implemented with the environment in mind to keep it free of unnecessary pollution. Mining activities that include processes where rocks are being crushed underground to extract certain resources like coal, can contain harmful chemicals. When these chemicals come into contact with fresh underground water resources, it could become contaminated and very dangerous for use. Mining companies should therefore do proper research and case studies about the environment they plan to extract the resources from. They should also know how the environment will be impacted and make sure that that rehabilitation campaigns are in place. Accidental leakages from oil and other natural resources can occur when these resources are being stored in underground containers. Leaks in these large containers can pollute the ground below and around them, making it hazardous to any underground water nearby. The proper maintenance work should be done to ensure the containers are secure and safe at all times. Chemical fertilizers and pesticide are used by farmers to grow their crops. Fertilizers are great for growing plants, but can be harmful to the environment when these chemicals end up in freshwater sources. Most of the time when it rains the chemicals end up in rivers or lakes when everything flows back to the water. Farmers and farming communities should take care to ensure that these chemicals do not end up in nearby water sources. Nuclear waste comes from power plants that uses uranium to generate electricity. These type of power plants have a huge amount of nuclear waste and are very dangerous for the environment. Disposing nuclear waste correctly is extremely important to ensure the safety of the surrounding environments. There have been major nuclear accidents throughout history in Russia and Japan. Governments and companies involved in nuclear projects must take all the necessary steps to ensure the safety of people, animals and water resources around them. Water is a core component in running these plants, so mismanagement could have disastrous consequences to natural water supplies. So now you know how much water is available to us on earth, what the different freshwater resources are and how to extract those water resources. You also know for what most of our water is being used and why it is very important to manage it so we can ensure a bright future. If you enjoyed this infographic, please share it to make everyone aware that water conservation is important.